The number of unopened, unused journals occupying the bedrooms of America’s children must be in the hundreds of thousands; journals seem to be popular gifts from hopeful older relatives who see in the child perhaps a kindred spirit, perhaps just an interesting or provocative voice. Keeping a journal requires both a desire to write and an inclination to keep a record of one’s own life, so it would seem, that few people actually possess. While we are not surprised to find that our favorite novelist has kept a journal since she was nine, we are stunned when we learn that a good friend has done the same—such is the rarity of journal-keeping. By narrowing the notion of “journal,” however, it might be possible to find a model that would entice even the least prolific or literary-minded young person to take a flyer. Back at IDEA #20 here we suggested keeping a sketchbook, a kind of visual journal, but here we are more focused on the written word. This may be a daunting idea, and literature abounds with novels in diary form that are detailed transcriptions of events that run to hundreds of pages. But rather than providing an exhaustive record, perhaps the interested child’s first journal could have a focus on specific activities—matters related to a hobby or a trip, say—or on responding to a particular issue in the world or in the individual’s life. It could even be a record in prose of some ongoing phenomenon, even the weather. A journal may also be finite, lasting only as long as one vacation or one family journey. 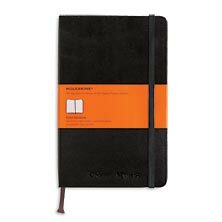 By reducing the scope of “journal” to something manageable, the idea of regularly writing something down may not seem quite so burdensome or overwhelming. And though the image of a journal is a leather-covered tome wrapped in ribbon and written in fountain pen, there is no reason that a journal cannot be kept on line or at least on a computer. The idea is to write, to record; the medium is immaterial. And any journal is traditionally the private property of the keeper, to be shown only when and to whom the writer wishes. If your interested child decides it might be fun to keep a journal of some sort, parents and guardians and other nosy types are politely invited to KEEP OUT! If you are already performing in or are part of the stage crew of your school play, you are already attending, but for the rest of the community school plays are an easily accessible cultural event as well as an affirmation of the creative spirit of a community. Whether the school play of the moment is a musical–these tend to be popular in the spring–or a drama or comedy, it is probably based on a script that is familiar, even iconic, in the history and world of theater. 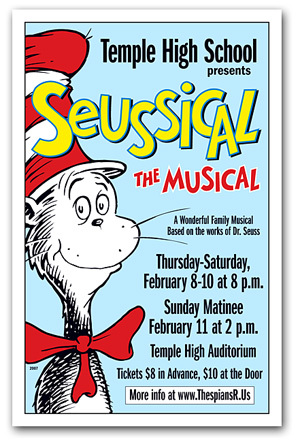 What better way to add to one’s stock of cultural knowledge as well as to appreciate the enormous effort of the cast, crew, and faculty who have spent months putting the production together? Purchasing a ticket and sliding into a seat for an evening’s or afternoon’s entertainment is not just about enjoying the show, which is bound to be impressive even if it’s not Broadway or even the bus-and-truck companies that roam among city theaters large and small across the country. Attending a school play is a way of acknowledging and applauding, literally, the long hours of rehearsals, interesting technical challenges analyzed and resolved, and all the joys and occasional frustrations that go with being part of a collaborative team–an ensemble. The students have worked hard, with late nights even as they begin to finish up the term’s academic work, and the adults overseeing the project have put in their own blood, sweat, and occasional tears. So, whether they’re for Grease or A Midsummer Night’s Dream or You Can’t Take It With You or Macbeth, watch for the posters for your local high school’s spring play to appear in local shop windows and make a plan to see the show. The interested child may be inspired, and at the very least he or she and any adult companion who happens to go along will be well entertained.